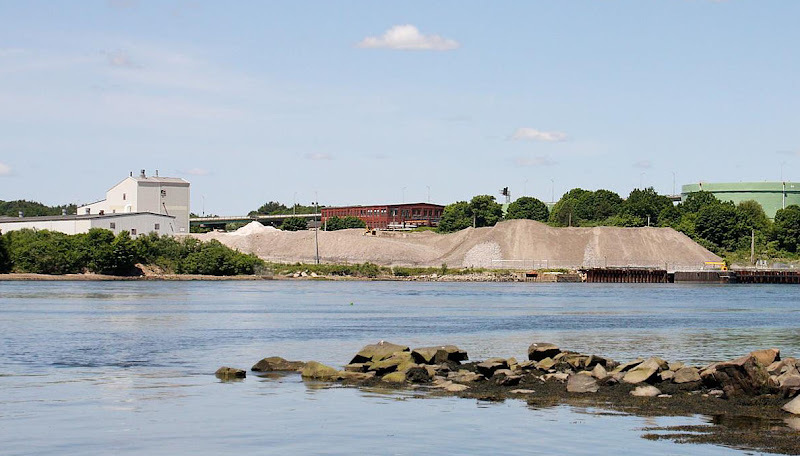 National Gypsum Company (NGC) is the focus for today's post on Industry along the Piscataqua River. 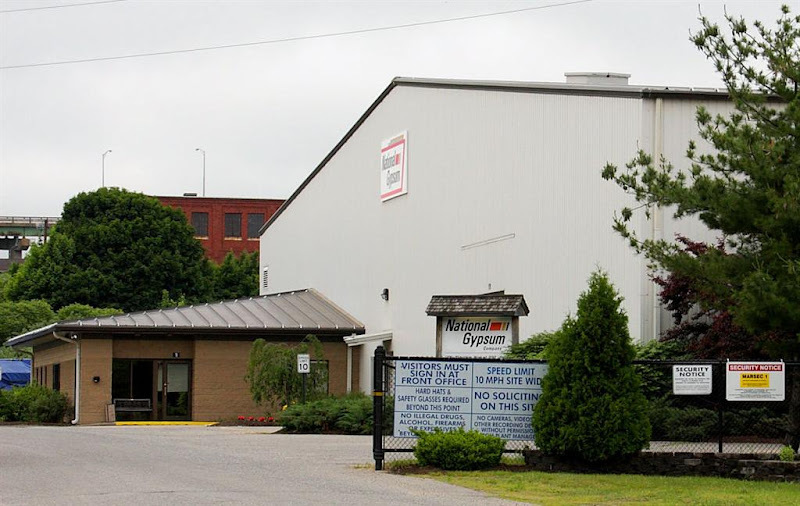 NGC operates a gypsum wallboard manufacturing plant at 9 Michael J. Succi Drive in Portsmouth, NH. 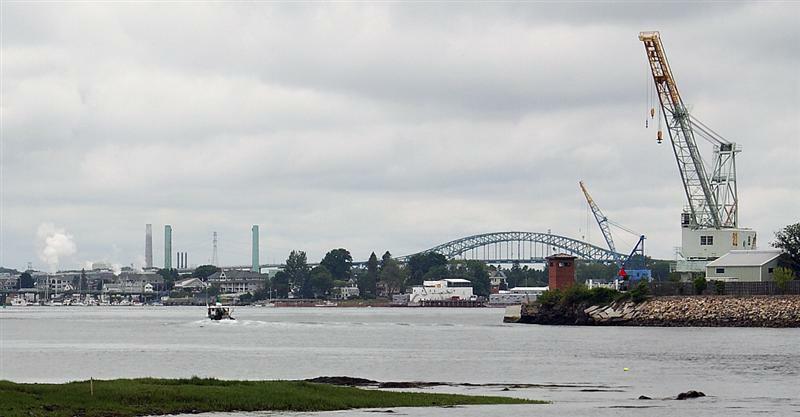 The plant is one of two wallboard production plants on the banks of the Piscataqua. 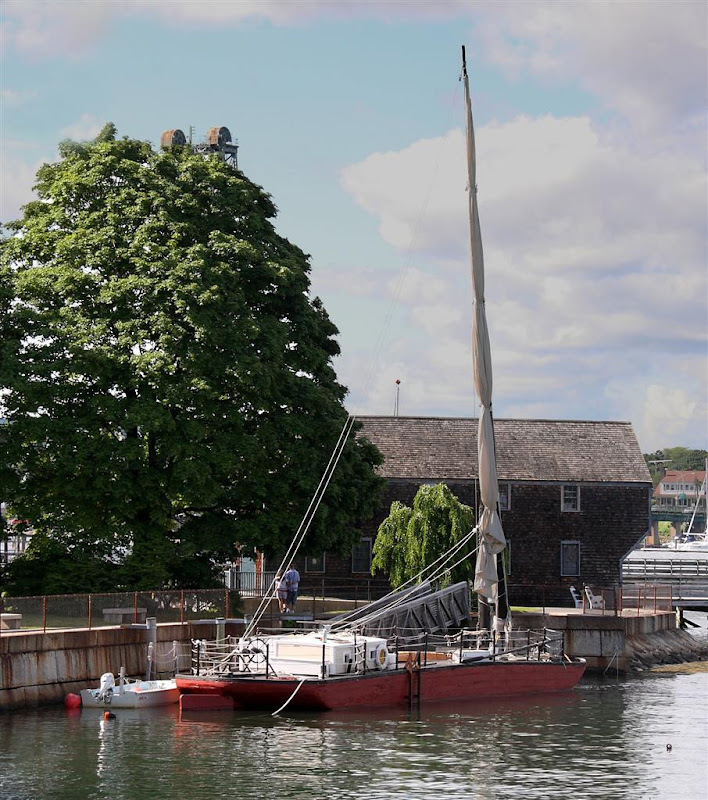 It's been in operation since the early 1970s and underwent a major update in 1985. 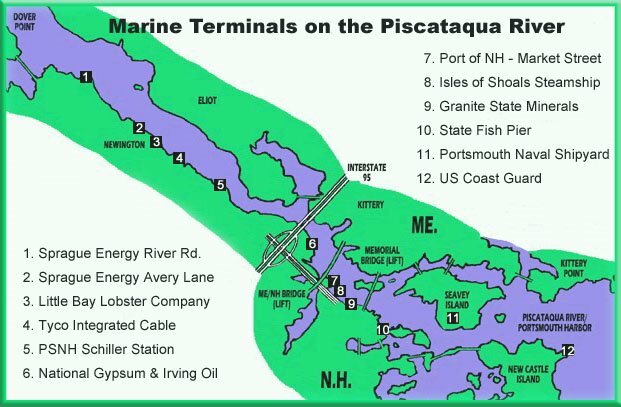 The Google map below shows a bird's eye view of the Portsmouth plant. You can clearly see the outline of the long straight-line wallboard production process on the upper right of the map. The National Gypsum website features a cool animation of the wallboard production process that somewhat explains why wallboard plants are laid out this way. 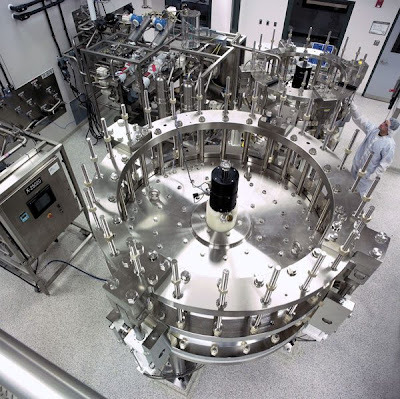 NGC is a privately held company headquartered in Charlotte, North Carolina. 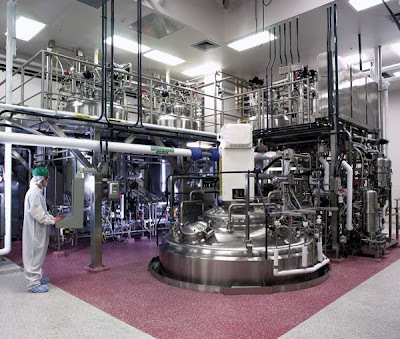 According to the company's website, they operate several facilities spread across the US and in Canada including 17 wallboard plants, 7 mines and quarries, 7 interior finishing products plants, 3 paper plants, and 2 research facilities. 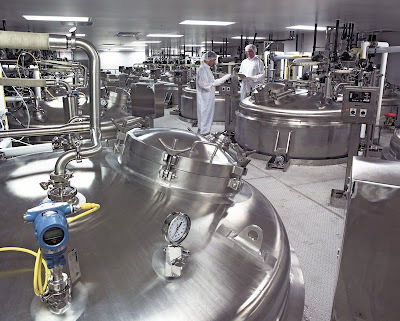 They employ around 3,000 people and their annual revenues are estimated to be between $350 million and $500 million. NGC also operates the largest gypsum quarry in the world, located outside Halifax, Nova Scotia. Gypsum wallboard plants are often located near shipping terminals to facilitate efficient delivery of the bulky gypsum rock that they use as a raw material. 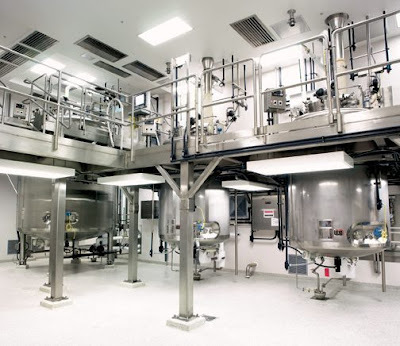 In addition, wallboard manufacturing plants require large amounts of energy to run kilns, rock dryers, rock crushers, and other equipment. I stumbled on this 2004 NH DES permit report on the plant and was surprised to learn just how energy intensive wallboard manufacturing is. 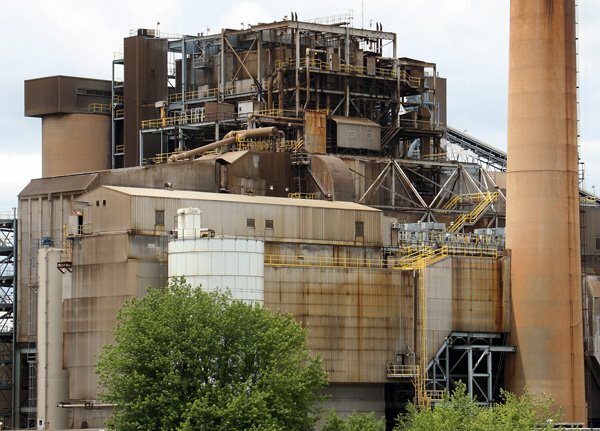 Apparently, the NGC plant burns large amounts of fossil fuels in the production process and as with power plants, the facility's emissions are carefully monitored by state officials. The city of Portsmouth tax assessor's website shows the facility's assessment at $8.7 million with a $147,697 property tax bill for 2008. According to nh.gov employment data, the Portsmouth, NH plant employs between 50 and 99 full-time workers. What are the Most Valuable Properties in the cities and towns near you? Just like in Manchester, the property with the highest assessed value in the city of Concord, NH is a shopping center. The Steeplegate Mall, at 270 Loudon Road in Concord, is assessed at over $83.5 million and paid over $1.7 million in property taxes in 2008, making it the most valuable property in Concord. 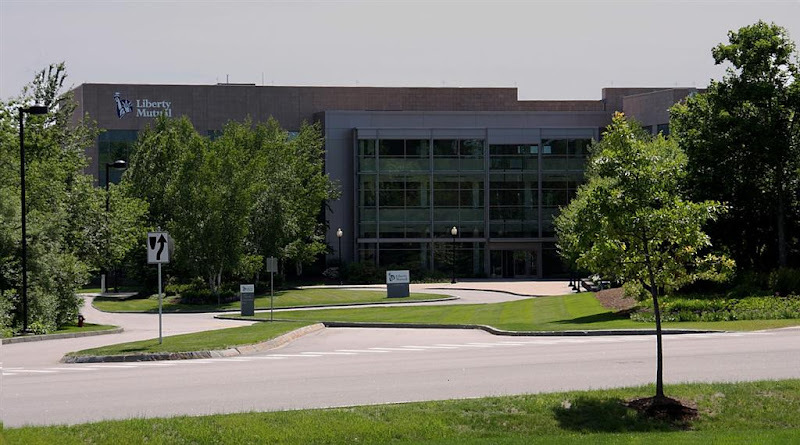 Also on the 2008 list of top taxpayers in Concord are Wheelabrator Concord, a trash to energy facility, Unitil, an electric utility, and Capital Region Healthcare, the parent company of Concord Hospital. You may recall from my earlier post that the Mall of New Hampshire in Manchester is owned by Simon Properties and was recently able to close on a new mortgage on the property at a pretty attractive interest rate. The owner of the Steeplegate Mall, General Growth Properties (GGP), has not been so fortunate. In fact, in April of this year, GGP filed the largest real-estate bankruptcy in U.S. history. 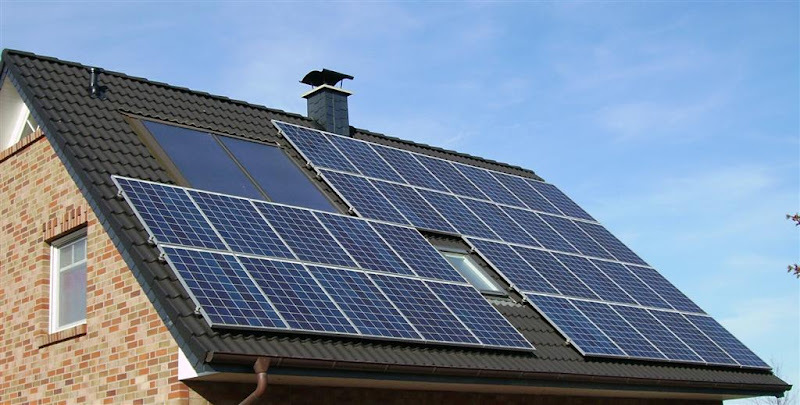 It was initially reported that the bankruptcy would not affect the individual properties owned by GGP. However recently, some legal maneuvering by GGP surfaced that could result in the cash flows from the Steeplegate Mall being used to help restructure the parent company, rather than keep the property's own debts current. A discussion about electricity in New Hampshire would be incomplete without mention of Merrimack Station in Bow, NH. 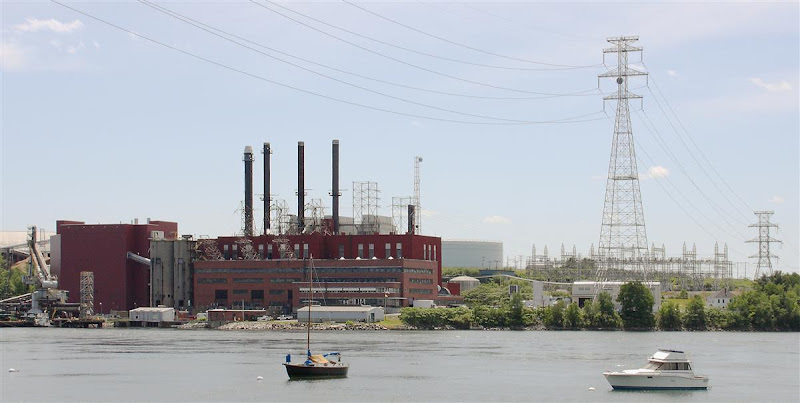 Readers may recall that Merrimack Station is one of the 5 largest power plants in the state. 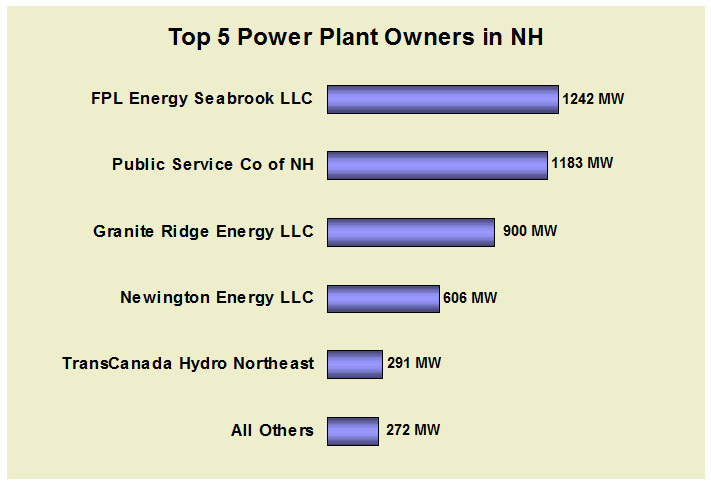 In fact, Merrimack Station is New Hampshire's largest coal-fired power plant, as well as the largest plant in PSNH's power generation portfolio. 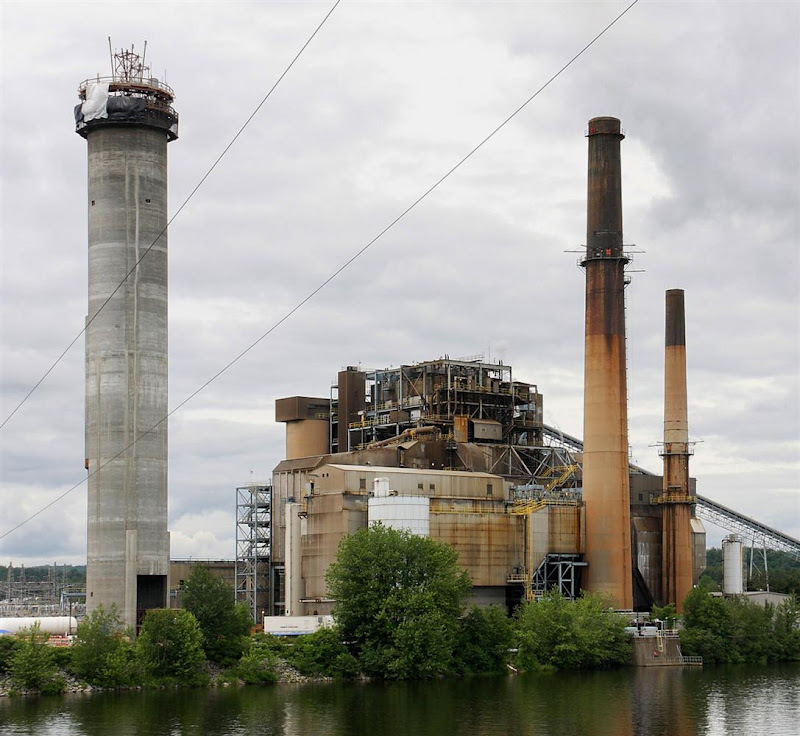 Merrimack Station's two coal-fired units were built in the 1960s and are rated at 496 megawatts total, together providing over 10% of the power generation capacity in the state. 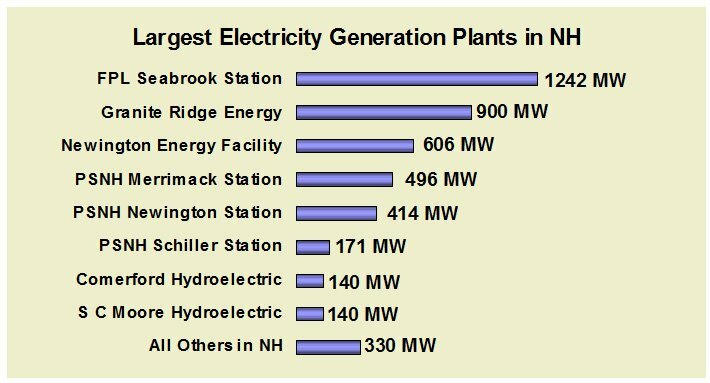 Because it's fueled by coal, Merrimack Station is always able to produce power at a lower cost than any other fossil fuel powered plant in the state. As a result, it's almost always running at its maximum output. 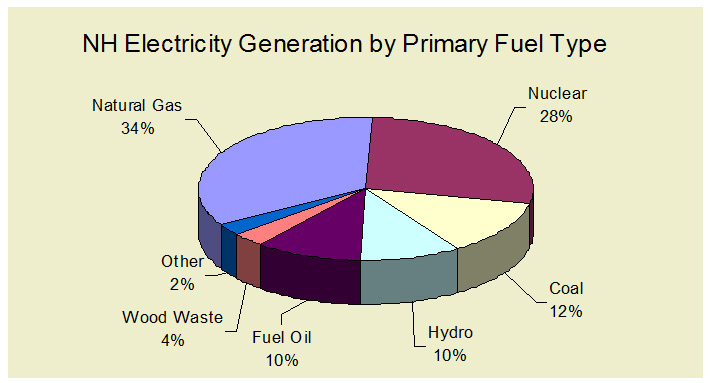 Coal is the least expensive fossil fuel for power plants by far. The heat energy contained in a fuel is measured in millions of British Thermal Units (MMBtu), and fuel costs are compared using dollars per MMBtu. For 2009, coal is estimated to cost $2.16 per MMBtu, natural gas $4.35, and oil between $8.60 and $12.23 depending on the grade. The cost for each fuel can bounce around wildly, but coal seems to always end up the cheapest. OK, coal is cheap. So what's the problem you might ask? 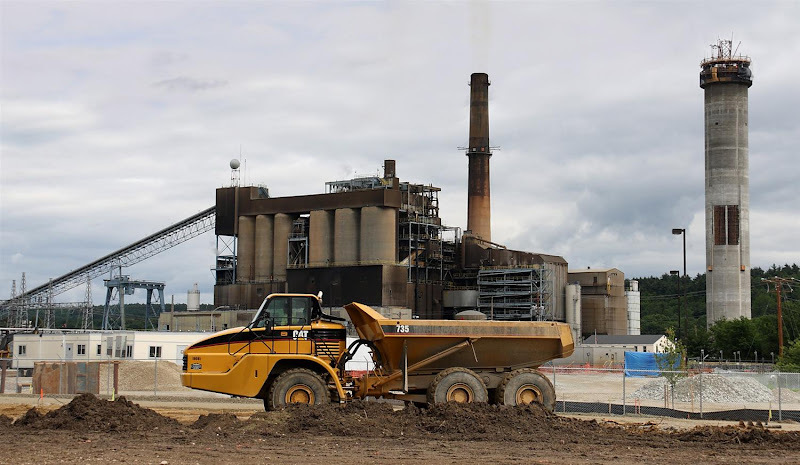 Well, coal may be cheap, but burning it emits lots of pollution and those emissions result in health and environmental issues that come with their own costs. In the table above, the pollutants listed are carbon dioxide (CO2), sulphur dioxide (SO2), nitrogen oxides (NOx), carbon monoxide (CO), hydrocarbons (HC), and particulate matter (PM). 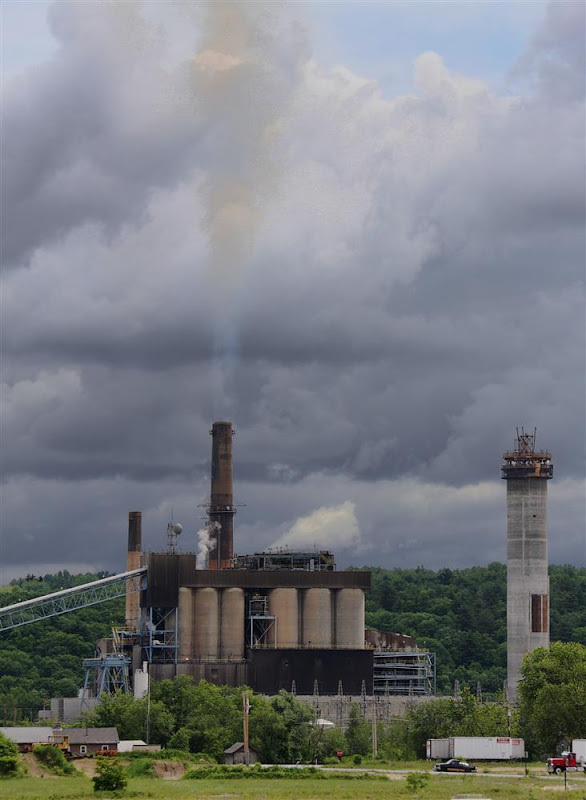 Over the years, our collective understanding and appreciation of the dangers of these toxins has increased and that's resulted in several mandates to reduce emissions at power plants around the country. 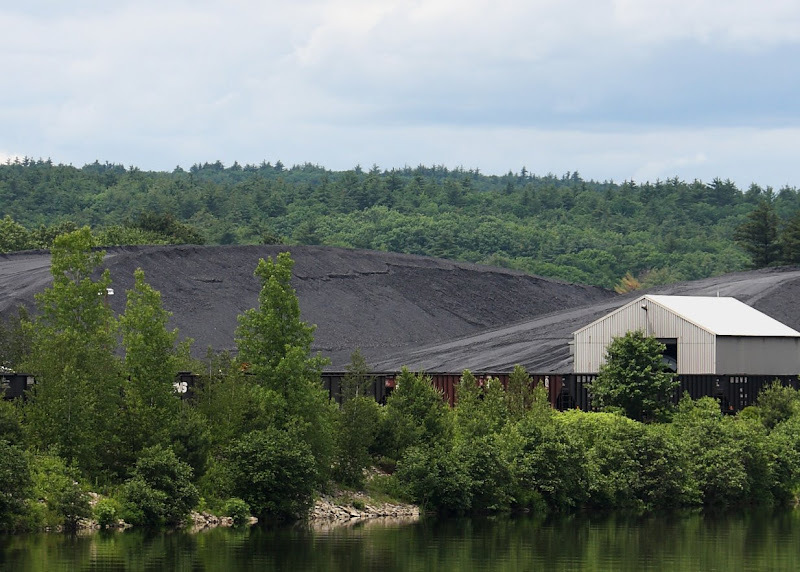 In 2006, the NH legislature decided that NH too needed to clean up the output from its coal-fired power plants. 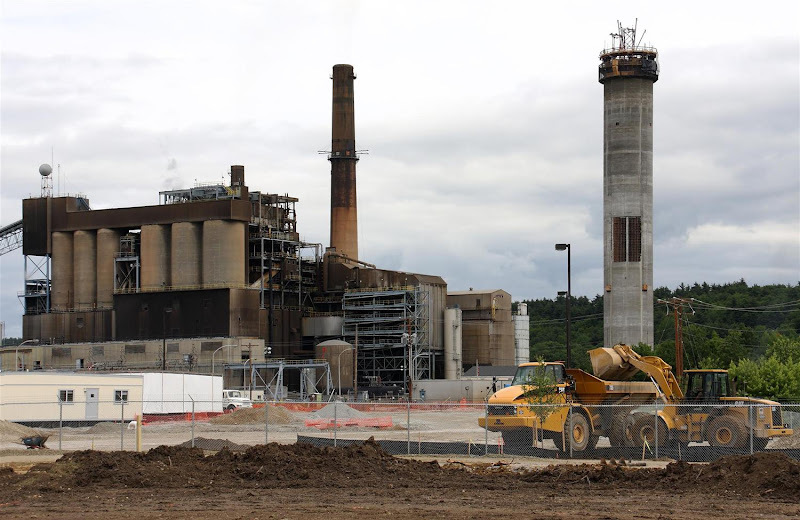 The result was a directive to PSNH to install a mercury and sulfur dioxide scrubber at Merrimack Station. 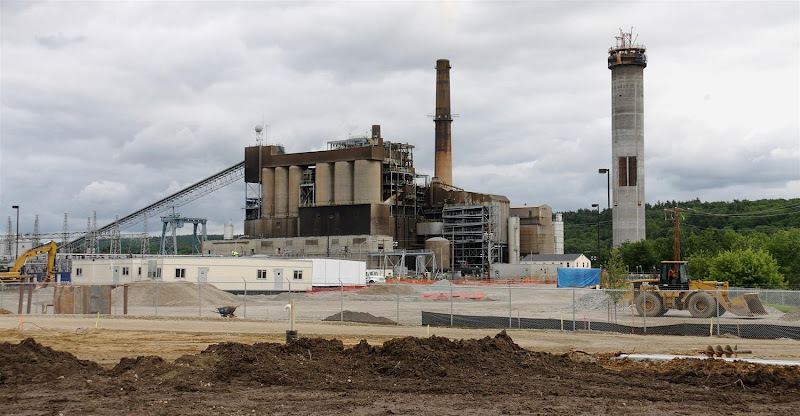 PSNH got moving on the directive and made a plan to connect the scrubber to the exhaust from the plant's two generating units. 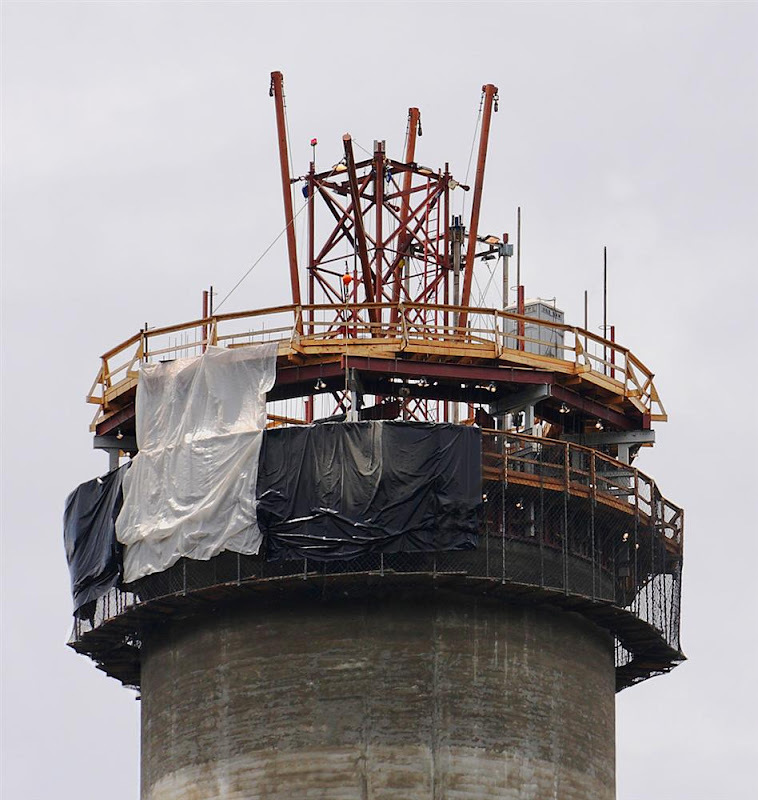 You can see the stack for the new scrubber on the left side of this recent photo from Merrimack Station in Bow. 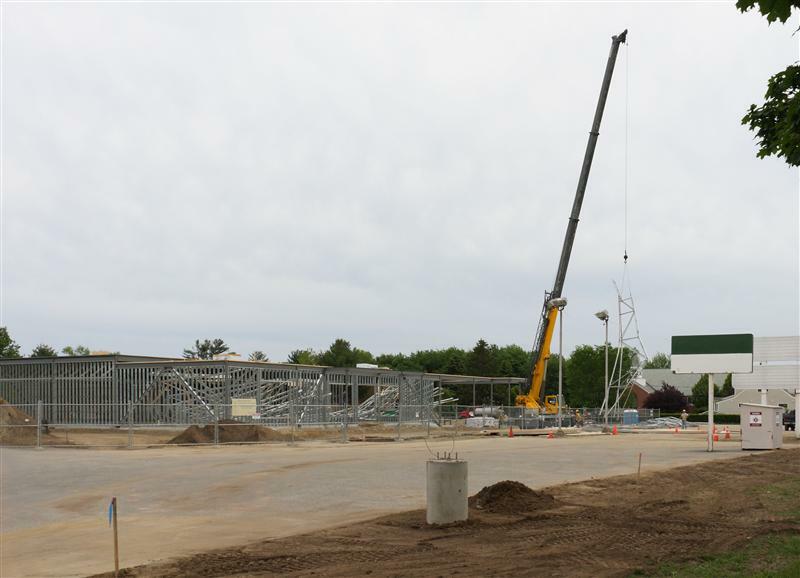 The photos below show that construction is well underway. 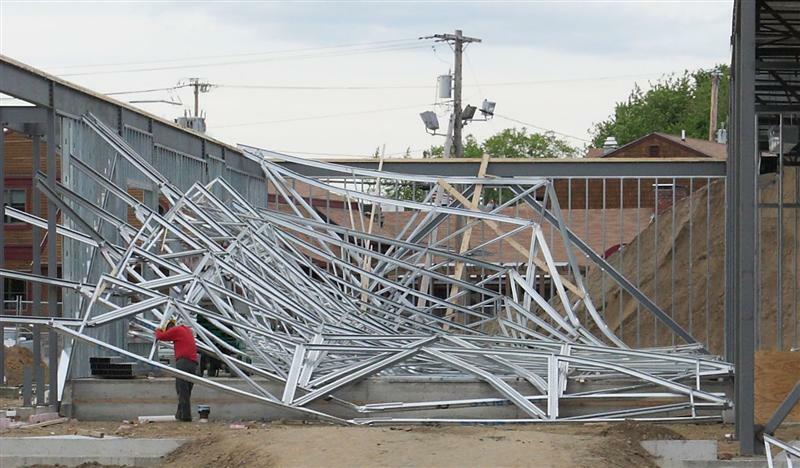 Even on a Saturday, when these shots were taken, crews were hard at work all around the site. I couldn't help but notice the porta potty sitting on a platform at the top of the new stack. 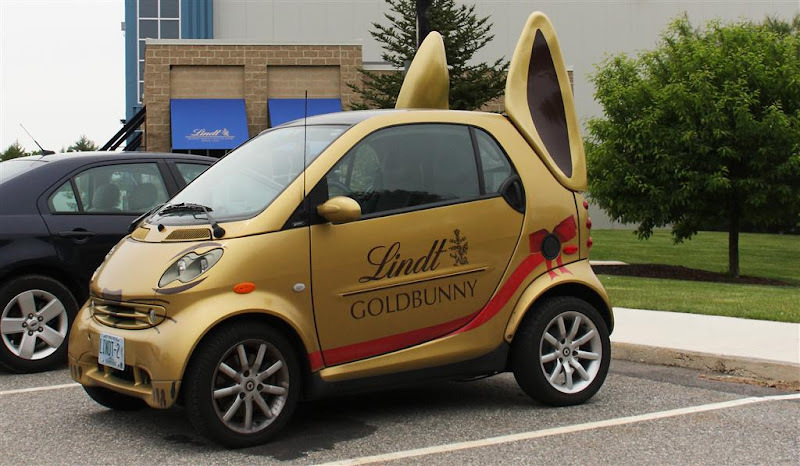 I guess it makes sense, as I'm sure it's a long trip down. Seeing this close-up gave me renewed appreciation and respect for the construction workers who take on projects like this. I'm not that afraid of heights, but that stack is waaaay up there! 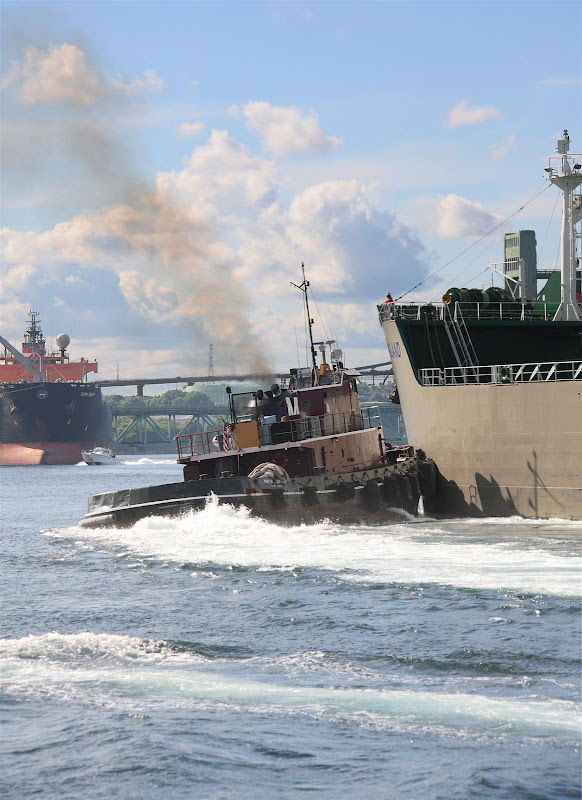 Although construction on the scrubber is well underway, the project has become very controversial lately. The main source of the controversy was a cost increase that PSNH announced last year. 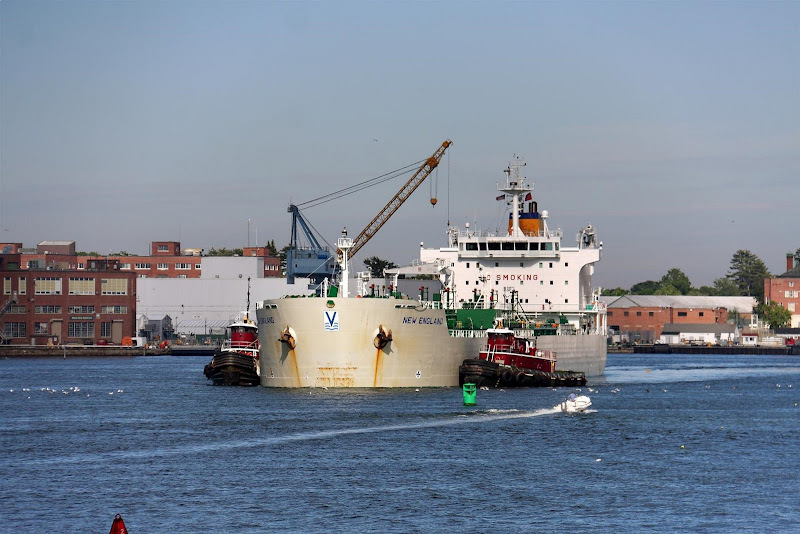 The original estimate for the scrubber was $250 million dollars, but once PSNH had completed the design and started the contracting process, they increased the estimate to $457 million. Since I'm late to the party, I won't get into a detailed analysis of the pros and cons of the project. Check out the links at the end of this post, or google "merrimack station scrubber" if you're up for some digging. I'll end with a list of the highlights of the pros and cons, as well as a listing of some of the hidden and not so hidden forces at work pushing for and against the scrubber. As with any public decision, politics and special interests are usually at work, sometimes behind the scenes. $457m is a very large project so there's plenty of raw cash at stake. But IMO, there's more than just the construction dollars at play as far as special interests go. 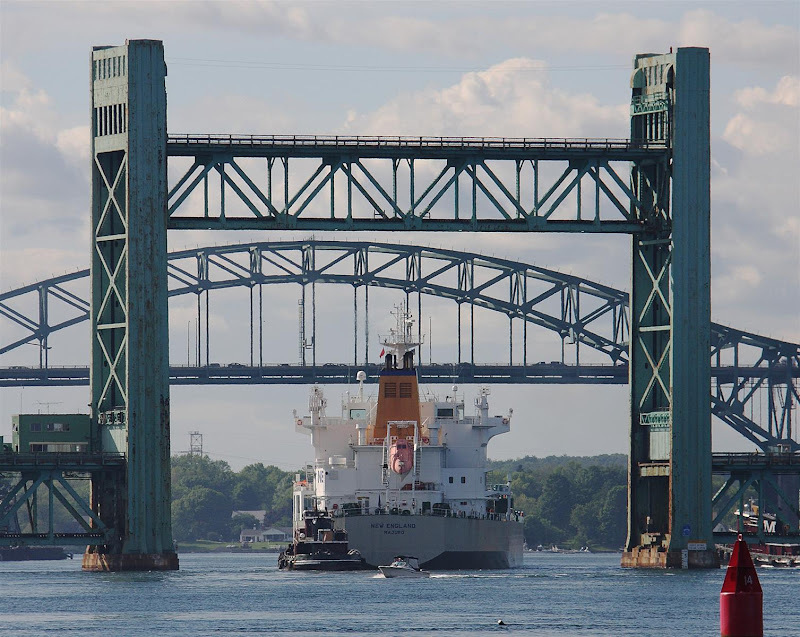 According to the City of Dover's 2008 Property Assessment Report, Liberty Mutual Group, an insurance company at 100 Liberty Way, owns the most valuable property in Dover, NH. The Liberty Mutual campus actually consists of three buildings, the oldest was built in 1996 and the newest in 2007. With 3500 workers at the Dover campus alone, Liberty Mutual is the largest employer in the city. The next largest employers are the City of Dover, employing 1139 people, and Wentworth-Douglass Hospital, employing 1048. 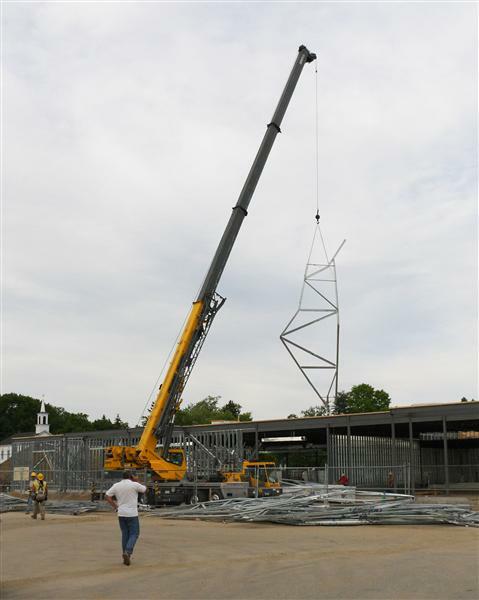 This post is a quick update on the progress of the 56 acre, 300,000 sq. 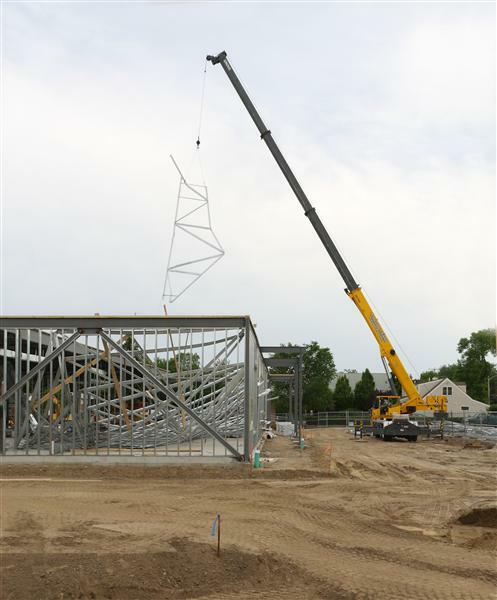 ft shopping mall project in Greenland NH. The new mall will house a Target, a Lowe's, and a Stop and Shop grocery store. Massachusetts based Packard Development is apparently on track for a staggered opening of the property in the second half of this year. As you can see from the photo above, the new Greenland Target appears all but done from the outside. That's good since the grand opening is scheduled for July 26th. Below you can see the beginnings of the foundation for Target's future neighbor, presumably Lowe's. According to a Lowe's press release, the Greenland, NH location will have 117,000 sq ft of retail space with an additional 29,000 sq ft of outdoor garden center space. Also according to Lowe's, a store of this size typically costs around $18.5 million and creates an estimated 175 new jobs. The photos below show bricklayers fast at work on the back wall of the new structure. Although the Target opening date is set for next month, opening dates for Lowe's and Stop and Shop haven't yet been established, but are roughed in for the fall/winter of 2009. 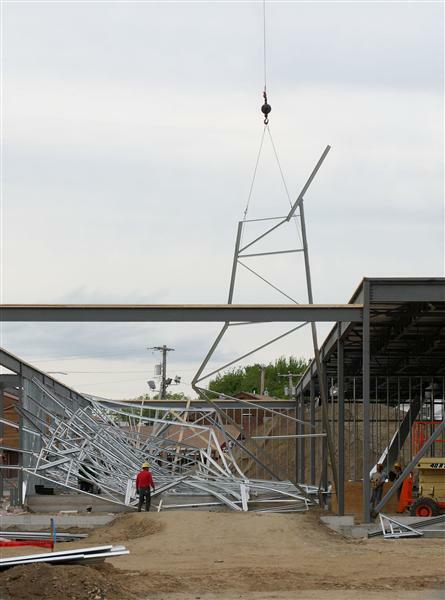 (UPDATE: according to SeacoastOnline, the Lowe's opening now set for Jan 8, 2010). The 56 acre site formerly housed an Osram-Sylvania manufacturing plant which had been sitting idle for ten or fifteen years.